LoFric Catheters is packaged with its own sterile water – you can safely catheterize even where there is no clean water source available. The packaging keeps the water separate from the catheter until activation. Easy to fold for travel and discretion. LoFric is the only hydrophilic catheter proven in long-term clinical studies to reduce the risk of UTIs and other complications when compared to conventional catheters. 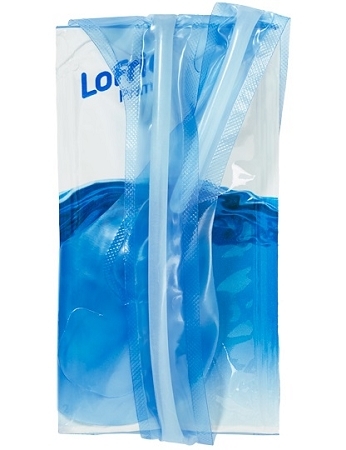 LoFric Primo is a convenient, compact no-touch hydrophilic catheter with an integrated sterile water sachet and features a no-touch design. Latex-free. The water pouch is made of an polyethylene-aluminium-polyester laminate and contains a small volume of sterile water. 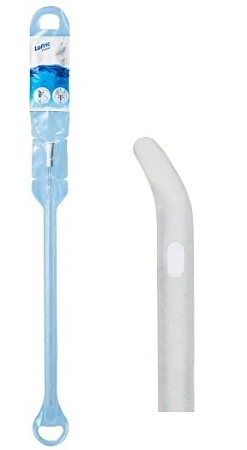 The sterile package is made of medical grade PE/polyethylene and the catheter tubing and conncetor is made of medical grade PVC/poly(vinyl chloride). The catheter is coated with a hydrophilic layer consisting of PVP/ poly(vinyl pyrrolidone) and sodium chloride/NaCl.